But this...this is what life is really about. 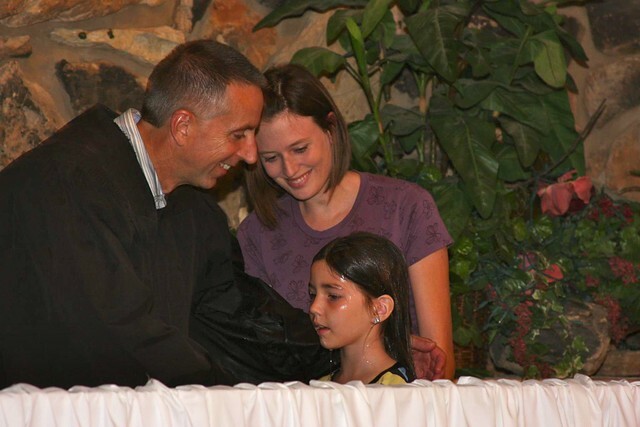 Ava, four days past her seventh birthday, was baptized on Sunday. 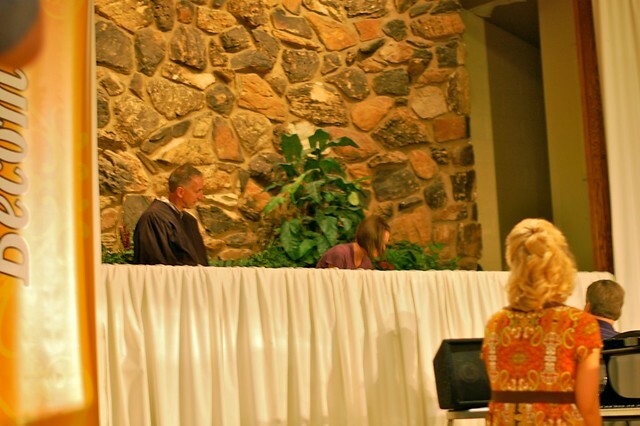 She's been begging to get baptized for two years but I kept putting her off because I wanted to make sure she could both articulate and undertand the reasons behind baptism and why it's important. She finally convinced me this summer, and she decided to work on what amounted to a little speech about what being baptized meant to her to share with our pastor, who was also convinced. He put her baptism on the books right away. Then she did something that will go down in history as one of my most amazing parenting moments. She asked me to be the one to baptize her. I don't know if I've ever been so honored. So on Sunday we gathered with our church and our family who is local to the area and Ava took the next step in her Christian walk. I know I'm repeating myself, but it was so amazing. Awesome. I am so proud and honored to have a daughter who is such a sweet girl who is so in love with Jesus. I can't wait to see where He takes her. This is the ultimate reward for parenting...seeing these kid grow in their own faith and start to adopt it for themselves is everything I could ever ask for. 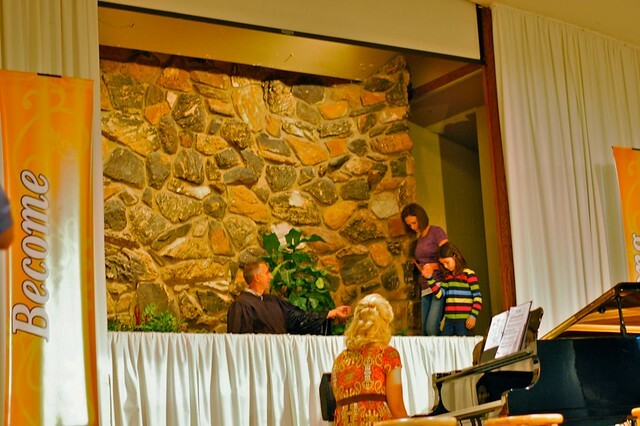 After she was baptized, she looked up at me and said "I feel so...cold!" and then started cracking up laughing. She's very into being funny right now, always wanting to entertain.